While we still see a strong case for introducing an elected element into our second chamber, this is not a priority in the next Parliament. We have already allowed for expulsion of members for poor conduct and will ensure the House of Lords continues to work well by addressing issues such as the size of the chamber and the retirement of peers. That each new prime minister is obliged to appoint 100 new peers just to get legislation through is ridiculous. The endless accretion is manifestly unsustainable. The Upper House is fast approaching a thousand members, making it one of the largest legislatures on the planet. Surely, if it is important that the House of Lords “in some way reflects the situation in the House of Commons”, we need to say farewell to the crossbenchers? There are currently 226 Conservative peers (29%), 212 Labour peers (27%), 101 Liberal Democrat peers (13%), 1 Green (0.1%), 3 Ukip (0.4%), and 179 crossbenchers (23%). There are sundry others, including the Bishops, which are set out in full on Parliament’s website. If these numbers were adjusted to reflect the situation in the House of Commons, the Prime Minister would need to appoint a further 166 Tory peers in order to achieve proportional parity with his 50.1% of MPs in the House of Commons. Far better, you might think, to force each group to cull among their own until proportionality is reached. But that would mean pruning out 92 LibDem peers and appointing 67 SNP peers. It isn’t going to happen. 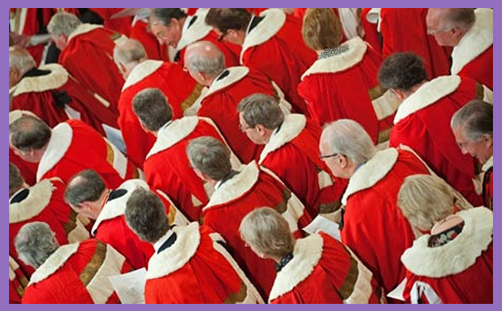 We must be wary of demanding House of Lords reform in the wake of Lord Sewel’s penchant for coke-snorting and cross-dressing; or because one or two (hundred?) are on a never-ending gravy train of tax-free attendance allowances and generous expenses. But, contra the opinion of many Tory MPs, the status quo cannot be preserved. Those Conservatives who support the status quo appear to be confusing it with the status quo ante: they do not address the reality that Tony Blair changed the House of Lords irrevocably. It is no longer largely composed of non-partisan experts, cuddly crossbenchers and independently-minded hereditary peers who patriotically place loyalty to their country above ephemeral tribal politics: it is now a corporatist entity, appointed by the prime minister of the day and rubber-stamped by a committee appointed by the government of the day. In order to better reflect the outcome of each general election, a prime minister now has no choice but to bung another 100-or-so in, otherwise legislating gets a little jammed up. Tony Blair appointed his statist supporters and quangocrats, and so David Cameron has to do the same. It is bizarre that we are heading for an Upper House of a thousand members while talking of reducing the House of Commons from 650 to 600. What is the democratic rationale for cutting the number of elected politicians while increasing the number of unelected? But the rock of the status quo is as untenable as the hard place of a PR-elected chamber. The proposal to elect members to the House of Lords – whether 80 or 100 per cent – is a certain recipe for future strife. Not least because the last proposal was that they be elected by STV and remain in office for 15 years. Where else on the planet are elected politicians insulated from their electorate for a decade-and-a-half? How does an 80% elected chamber constitute any kind of democratic resolution? What is the democratic legitimacy of the remaining 20%, especially the Bishops? What is the democratic legitimacy of the entire 100% if members may only be judged by their electorate every 15 years? It is bizarre to seek to move towards any proportion of elected peers before establishing the function and purpose of the Upper House. If it is to remain a revising chamber, providing scrutiny and expertise, why is the judgement of the people the favoured mechanism for establishing those who make the wisest scrutineers? Plato observed that philosophers are “very odd birds, not to say thoroughly vicious; whilst even those who look the best of them are reduced…to complete uselessness as members of society”. In short, the wisest scrutineers are not necessarily going to be recognised by most people and may certainly not have popular appeal. Plato’s metaphor of the Ship of State needs to inform deliberations. While the partially deaf and myopic captain (the people) is quarrelling with his crew (competing politicians) over how to navigate and who should be at the helm, none of them has any genuine skill in navigation. One faction of the crew is able to take control of the ship by killing their rivals and drugging the captain. They then turn the ship into a pleasure cruise and admire the seamanship of whomever is able to control the captain. Democratic politics has not changed. But the true navigator, with his expert knowledge of the seasons, winds and stars, is completely ignored and considered useless by the crew, who do not understand the means or purposes of the art of navigation. Those who argue for an elected Upper Chamber are deluded that out of the chaos, sophistry and corruption of the democratic process, the mob will eschew their short-term carnal pleasures, see through the political rhetoric and recognise the navigator’s skills for the good of the state. This was not so in ancient Greece, and nor is it is so now. The philosopher, then as now, is not inclined to beg others to allow him to rule. For, like the navigator, he is concerned with truth and not (like the crew-politicians) with the satisfaction of his immediate personal pleasures or with the acquisition of power. Those who seek to rule are concerned with seducing the people in order to gain and retain power, which leads to conflict and distrust: those who seek to scrutinise, reflect and guide are concerned with the pursuit of wisdom and truth for the long-term good of the state. Thus their lordships should value their independence from petty issues of party politics, and the Prime Minister should not seek proportional parity. The case had not been made for an elected Upper House, which would become a highly-politicised chamber crammed with even more ‘professional’ politicians. Not only would a house elected by PR assert a greater democratic legitimacy than one elected by FPTP, but experience shows (in Scotland, Wales and London) that demands for incremental gains in competences would surely follow. And yet the immediate and pressing matter for the Prime Minister is to get his legislation through both chambers. Perhaps he should first focus on the purpose of the House of Lords. Everything else will then fall into place.